After two decades and 874 in-depth oral history interviews, The Archive of American Television will be the foundation of The Interviews: An Oral History of Television. The Interviews houses original Archive collection, the Bob Hope Comedy Collection, Emerson College's American Comedy Archives, plus additional interviews produced by and with partner organizations. And the Academy will also continue producing new interviews. 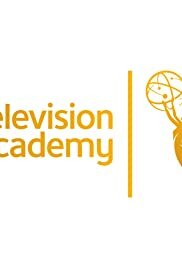 Founded in 1997, the Television Academy Foundation's Archive of American Television has conducted over 850 oral history interviews (over 4000 hours) with the legends of television. Rebranded in its 20th year as "The Interviews: An Oral History of Television" these conversations chronicle the birth and growth of American TV History as it evolves. The Interviews continue to produce new oral histories every year. The collection covers a variety of professions, genres, and topics in electronic media history.